Please don't quadruple post, if you need to add something use the edit button. felinoel wrote: if you need to add something use the edit button. plus my crash reports I could only upload 3 at a time and I had 6 to upload. I saw that but that could have been limited to two posts then instead of four. Hello! My first post here, but I am a user since some time ago. The client version is working very well, amazing job! Im trying to run a server and I have problems to start it. Its the lastest forge ( 1.7.2-10.12.0.1047 ) with millenaire installed. There is a log.txt on the crash-reports folder with the console output if it helps. Hope it helps to the debugging! You are doing here an amazing job! Ok, I've updated the beta. Let me know what bugs you find. In a Hindi Village, the peasants are unable to plant rice, and will go into a loop of attempting to plant rice on a block without success. Also they won't even go near Turmeric farms. They act like it doesn't exist. Teethdude wrote: In a Hindi Village, the peasants are unable to plant rice, and will go into a loop of attempting to plant rice on a block without success. Same problem with Japanese viilage. That feature hasn't worked for a while, like since the update to 1.6. Normally, when you switch from a 16x or 32x texture pack to a 64x or higher, Millenaire's block and item textures will switch to 64x. If you look inside the Millenaire.jar with something like WinRAR or 7Zip, you can find the higher resolution textures in \assets\textures\blocks and \assets\textures\items. If you want the higher res textures, back up your .jar, and delete the .png and .png.mcmeta files that do NOT have 64 in their name. Then, rename each remaining file so that they no longer have _64 in their name. I don't know how well this works, but it should work in theory. Normally, I just use some fanmade Dokucraft textures. The Dokucraft textures are found here if interested. Weird, it works for me... With a 64x pack (Soartex). Odd that it's not for you. I don't know if you guys covered the issue here already yet, but we have a post in the bug report section about problems with the server version not loading up correctly. The mod loads and Forge recognizes that it is on and running, but nothing functions in-game. No villages spawn, Wand of Summoning cannot be used, etc. I just figured I'd put a post here letting other people know, Kinniken seems to reply to posts in here pretty often so mainly I wanted to get attention from the mod's creator on this issue. Just discovered my first village, a Hindi Qila. As soon as it loaded the text box just spammed that error on update thing over and over again, tried killing all the villagers and negating the village, but half the villagers just froze and I could not kill them. I think this is a problem with Millénaire plants in general, as none of the plants will actually get planted. It doesn't matter whether it's the player or an NPC attempting it. HubTou wrote: I attempted a brand new server installation with Minecraft 1.7.2, forge-1.7.2-10.12.0.1025 and MillenaireServer5.2b1, but the game crashes right from the start (before even generating the world). - BETA release for MC 1.7.2. Expect a lot of bugs. Backup your worlds. Post bugs on the Millénaire forum. - Use the latest Forge download, not the recommended one! - Version BETA pour MC 1.7.2. Attendez-vous à beaucoup de bugs. Sauvegardez vos mondes. Postez vos bugs sur le forum Millénaire. - Utilisez la version la plus récente de Forge, pas la version recommandée! Awesome, I will give the new versions a shot. Thank you so much! Thank you! I will download the new version and run another test. SUCCESS! It works so far, it loaded up and gave me the in-game starting messages. I love this mod, thank you so much for fixing the server version! I am a huge fan! I can play, but the screen gets full of these error messages and the signs in towns are blank. Additionally, and only in 5.2.0b4 when I load, I spawn with no objects and in the first spawn place and no where I saved. Only asking if it's a bug or I must start new game. Did you try starting a New World for testing? Sometimes when you update it'll ruin whatever villages you currently have. Teethdude wrote: Did you try starting a New World for testing? Yes and it works perfectly but I didn't know if it was a bug or I needed to start a New World. Thanks for the quick response. No crash report however upon generating chunks I was kicked off with the error: Internal Server Error. Here is the log from creation of world till the times i tried to join and when i turned server off. [14:49:27] [Server thread/INFO] [FML]: SRV Starting new session. [14:49:34] [Server thread/INFO] [FML]: SRV ERROR: Culture: hindi: nl: In dialogue file /Users/coreybengoldner/Desktop/Minecraft Servers ƒ/1.7.2 Server (Forge)/./mods/millenaire/languages/nl/hindi_dialogues.txt the following line is invalid: ﻿//Note to translators: the version in devanagari (Hindi script) is for reference purpose. It will not show in game. [14:49:34] [Server thread/INFO] [FML]: SRV ERROR: null: Error when reading reputation line in file /Users/coreybengoldner/Desktop/Minecraft Servers ƒ/1.7.2 Server (Forge)/./mods/millenaire/languages/sl/norman_reputation.txt: ﻿0;Tujec;Tukaj smo zelo zadrzani do tujcev, novoprislek. Vendar, ce bos do nas posten, bos spoznal, da smo gostoljubni. : For input string: "﻿0"
[14:49:35] [Server thread/INFO]: Preparing level "1.7.2_Forgeworld"
[14:49:54] [Server thread/INFO]: Done (19.092s)! For help, type "help" or "?" Last edited by MicroCuts327 on Sat Mar 29, 2014 9:01 pm, edited 2 times in total. Sadly, I am getting the same error as MicroCuts327. I posted it with more details in the bugs section on the Server Crash thread. In a Hindi village, the villagers seem to make a mess when harvesting sugar cane..
Hindu Statues won't appear when placed. I'm unsure of other culture statues/paintings. MicroCuts327 wrote: No crash report however upon generating chunks I was kicked off with the error: Internal Server Error. // Hi. I'm Minecraft, and I'm a crashaholic. [12:59:40] [Server thread/INFO] [FML]: SRV org.millenaire.common.MLN$MillenaireException: Attempted to create an InvItem for air blocks. [12:59:40] [Server thread/INFO] [FML]: SRV org.millenaire.common.MLN$MillenaireException: Trying to get the name of an invalid InvItem. [12:59:47] [Server thread/INFO] [FML]: SRV ERROR: Culture: hindi: nl: In dialogue file /home/agustin/Programas/Minecraft Server Millenaire/1.7.2/server/./mods/millenaire/languages/nl/hindi_dialogues.txt the following line is invalid: ﻿//Note to translators: the version in devanagari (Hindi script) is for reference purpose. It will not show in game. [12:59:47] [Server thread/INFO] [FML]: SRV ERROR: null: Error when reading reputation line in file /home/agustin/Programas/Minecraft Server Millenaire/1.7.2/server/./mods/millenaire/languages/sl/norman_reputation.txt: ﻿0;Tujec;Tukaj smo zelo zadrzani do tujcev, novoprislek. Vendar, ce bos do nas posten, bos spoznal, da smo gostoljubni. : For input string: "﻿0"
[12:59:48] [Server thread/INFO]: Preparing level "world"
[12:59:49] [Server thread/INFO]: Done (1,778s)! For help, type "help" or "?" Thank you. Now the server starts. [17:15:13] [Server thread/INFO] [FML]: SRV org.millenaire.common.MLN$MillenaireException: Attempted to create an InvItem for air blocks. [17:23:03] [Server thread/INFO] [FML]: SRV ERROR: Culture: hindi: nl: In dialogue file /home/minecraft3/./mods/millenaire/languages/nl/hindi_dialogues.txt the following line is invalid: ?//Note to translators: the version in devanagari (Hindi script) is for reference purpose. It will not show in game. [17:23:03] [Server thread/INFO] [FML]: SRV ERROR: null: Error when reading reputation line in file /home/minecraft3/./mods/millenaire/languages/sl/norman_reputation.txt: ?0;Tujec;Tukaj smo zelo zadrzani do tujcev, novoprislek. Vendar, ce bos do nas posten, bos spoznal, da smo gostoljubni. : For input string: "?0"
[17:30:53] [Server thread/INFO]: Preparing level "world"
[17:30:54] [Server thread/INFO]: Done (1,004s)! For help, type "help" or "?" I'll try to find my first Millenaire village now. // Would you like a cupcake? At the time of crash, i was attacking a chicken (which was to be my first meal in this new world), which seemed to be frozen against a wall. Small single buildings do appear to generate fine, a few others have noticed this. Your error report was almost if not exactly identical to the ones I have been getting. Did you find an entire village after a few crashes? If so, I might just deal with the crashes and try to play. I've installed Vanilla Minecraftia a custom-culture in the library and was the first village encountered. Byzantine boots are worn as a helmet by villagers. Norman Leggings are worn as a Chestplate. Other armors may do this too, but i haven't found anything yet. oh i know, but i gave him a pair of boots. If i kill him, he'll drop them as boots. Hominatum wrote: Hi, nice to meet you. The Vanilla Minecraftia culture was created for 1.6.x and will not work for 1.7.x. I will be updating it but I just haven't gotten to it yet. It's on my list of things to so. I also kinda want to wait until the 1.7 version of Millenaire is more stable. Ty for reply. I just tried I really look to see your work updated; I think ideas to rework vanila village and teaching quest are nice, but what really would be awesome is to use TESTIFICATE skins as villager texture. In my opinion finally have them to do something would be fantastic, anyway I'll truly wait for your job. I have started everything new to test Millanaire base cultures and when i approached to the first villagge, (lone building does not) i get error spamming. I'm the only one getting this in single player? This is only a little part of the spam,... when the village was far enough to deactivate, it stopped. I made some experiences with a Japanese village. i get a "Connection lost - Internal Exception: io.netty.handler.codec.DecoderException: java.io.IOException: Packet was larger than I expected, found 1 bytes extra whilst reading packet 63" message on the error screen. In both cases, there is no crash report written. Apart from that, and as far as i can tell, the interaction with the villagers seems to work. I'm not sure if it is normal or not but although 4 "levels/houses" were generated inside this Japanese village, only one seems to be counted with its villagers as part of the village? (see the marker on the following map: http://minecraft3.tournier.org/carte/#/ ... 770/-3/0/0). Thank you, the server mod is getting better all the time! There's no more crash when opening a village chest. All the chests in the villages recognized by the server are locked. They seem empty to me and i can't put items inside (i imagine that this is the way to give building materials to the villagers? ), which might be the normal behavior. I found some chests in an abandoned norman mine which i could plunder. The chests in the villages not recognized by the server (generation glitches from previous 5.2b versions. May be i should start with a brand new world?) are unlocked and i can put things inside. [19:12:57] [Server thread/INFO] [FML]: SRV ERROR: [email protected]: Kana Arakaki/7854303263903396214/[email protected]: Trying to interact with a villager with no TH. [19:13:35] [Server thread/INFO] [FML]: SRV ERROR: [email protected]: Entarou Arakaki/28463440486954464/[email protected]: Trying to interact with a villager with no TH. [19:13:35] [Server thread/INFO] [FML]: SRV ERROR: [email protected]: Entarou Arakaki/28463440486954464/[email protected]: Needed to send chief's TH but TH is null. [19:14:19] [Server thread/INFO] [FML]: SRV ERROR: [email protected]: Toyotomi Minamoto/3740314872891158041/[email protected]: Trying to interact with a villager with no TH. [19:14:19] [Server thread/INFO] [FML]: SRV ERROR: [email protected]: Toyotomi Minamoto/3740314872891158041/[email protected]: Needed to send chief's TH but TH is null. [19:15:06] [Server thread/INFO] [FML]: SRV ERROR: [email protected]: Izumi Minamoto/7836929415257392242/[email protected]: Trying to interact with a villager with no TH. [19:15:40] [Server thread/INFO] [FML]: SRV ERROR: [email protected]: Shinya Soga/2685844422789012406/[email protected]: Trying to interact with a villager with no TH. [19:15:40] [Server thread/INFO] [FML]: SRV ERROR: [email protected]: Shinya Soga/2685844422789012406/[email protected]: Needed to send chief's TH but TH is null. [19:15:43] [Server thread/INFO] [FML]: SRV ERROR: [email protected]: Komachi Soga/5779980080881472225/[email protected]: Trying to interact with a villager with no TH. Their rice fields are empty. In the villages that work, the map sign still doesn't function. Anyway, as i said at the beginning, the mod is getting better all the time, so a BIG thank you! With the new update things don't appear to change, but i think you are going to focus on mod server first and then on clientside, right? 5.2.0b5 07-04-2014 01:34:24 org.millenaire.common.MLN$MillenaireException: Attempted to create an InvItem for air blocks. 5.2.0b5 07-04-2014 01:34:24 org.millenaire.common.MLN$MillenaireException: Trying to get the name of an invalid InvItem. 5.2.0b5 07-04-2014 01:34:30 ERROR: Culture: hindi: nl: In dialogue file C:\Users\Zolmas\AppData\Roaming\.minecraft\mods\millenaire\languages\nl\hindi_dialogues.txt the following line is invalid: ?//Note to translators: the version in devanagari (Hindi script) is for reference purpose. It will not show in game. HubTou wrote: All the chests in the villages recognized by the server are locked. They seem empty to me and i can't put items inside, which might be the normal behavior. There's also a fourth kind of chest which i simply can't open. An Hindi village generated since 5.2b5 had empty signs from the start (although it had 6 houses and something like 10 villagers with a chief). More importantly, a fully working village with populated signs, now has empty signs, and one of its merchants do not trade anymore. They are generated at a rate of 3-5 per second, so the console log grows quickly, but on the bright side, this has no apparent effect on the game. 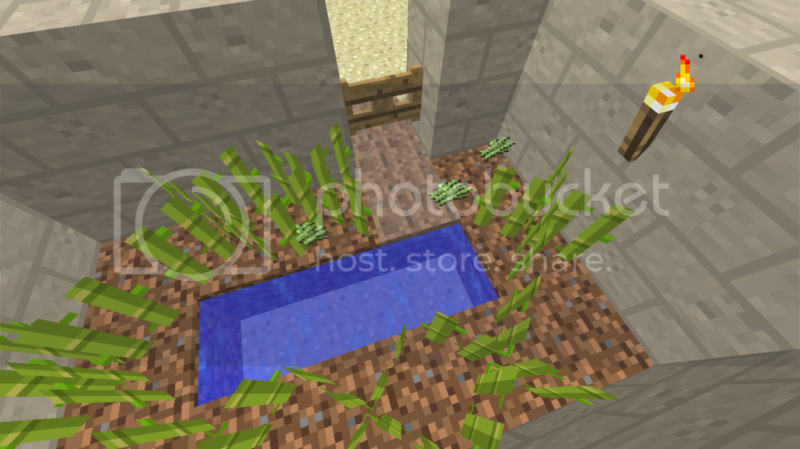 Found a bug with Japanese Rice Paddy. The rice is planted but it never grows. Receiving CONSTANT unending error in my chat log in game, by using Forge 10.12.0.57 Millenaire (latest), and BuildCraft (latest). I know that in the past you had to change ItemID's in BuildCraft's configs to get them to be compatible, but with Forge's removal of itemIDs, what do I do to fix this?